I just wrapped up my fifth consecutive week of 70+ miles--all at MAF (maximum aerobic function). For a few days there I had to run on feel since my still fairly new Garmin heart rate monitor broke on me. The good news is that Garmin provided me with a free replacement monitor. That's what I call standing by your product and looking after your customers. So, I'm now back to wearing my HR monitor and running at MAF. I'd say I'm laying a really good base for the Leadville 100 right now. What I'm doing now is more or less a page from my old playbook. I used to base build on about 70 miles a week (mostly at MAF pace though at the time I didn't even know what MAF was), and then cut back for a few weeks (to about 50-60 miles/week) before really ramping up to triple digits and starting to work in some specific, purposeful quality. The good news is that I'm running 70 miles a week without really suffering any ill effects. Hell, even my foot is getting much better (which I attribute to a really awesome physical therapist who's pulled the fat out of the fire on more than one occasion). Sure, I have some days when I'm tired and flat, but overall what I'm doing now has me in the "safe" zone. For me, 70 miles a week is pretty turn-key and it's not that hard. Even better, it helps get me prepared for what's to come. I genuinely believe I can be a fairly decent ultra-distance runner if two things happen: 1) I'm healthy/injury-free and 2) I make the life choices necessary to run big volume. We could also add "on-course training" to that list, as well. Over the past few years I've run decent volume (80-90 miles/week) in my Leadville ramp-ups but not the volume I used to run--because I chose not to. And I've seen my results go downhill. So, really, to me my problem is obvious: I haven't been running enough. If Leadville means as much to me as I say it does, then I simply need to make the requisite choices and run big volume--which I'm in the process of doing. I see 2013 as kind of my last year of seeing what I can really do. What I can do may be really good, or it may not be that special. But I believe in my heart of hearts that if I'm healthy and putting in the miles (in the right places) I can achieve some awesome personal goals. On Sunday I actually posted a Facebook update about my golden retriever, Nicholas, who's become my running partner. I take him out for runs a few times a week, though it's hard to run with him on the weekday mornings because it's been so damned dark outside. I prefer to take him out when it's light, when the many coyotes in our area have retreated to their shelters. But we manage to get in some runs, and on Sunday he went 7.6 miles with me--a new distance PR for him (I went on to complete a 16-miler in the snow and ice). In many ways, Nick has reenergized me. His passion for the simple art of running is inspiring and beautiful. He loves it. That's why we do this crazy sport--because we love it. It's not a job or a task; it's a passion. Sometimes we lose sight of that. For me, Nick's passion for running has been contagious. I look forward to working him up to big mountain runs. Summer Plans and a Midlife Crisis? First, even though it’s not running-related, I have to say that, ever since I’ve severely scaled back my Facebook usage, I’ve noticed that I feel happier about my personal life, more connected to those around me and more interested in real human interaction. I’m not sure what prompted my sudden rejection of Facebook (the ridiculous fact that the company doesn’t pay any taxes and, in fact, gets corporate welfare may have served as the impetus), but I really don’t miss it. My original intent was to totally deactivate my account, but then I realized it would make it harder to keep up with some folks whose exploits interest me. So I’ve kept my account but check Facebook maybe once a day and I rarely post updates anymore. I’m sure it’s not this way with everyone, but I think Facebook can have a corrosive effect on people and human interaction. But whatever. I’m only talking about my own experience. As I approach my fortieth birthday, I’m entirely open to the fact that I’m entering a new stage of life—a good stage (a midlife crisis?). I’ve become more and more aware of time, namely the passage of time. Opportunities come and go with time. Everyday my son grows older. He’ll let me hug him today, but tomorrow he’ll be a rebellious teenager. Time: For the first time really ever, I’m acutely aware of its passage. Anyway, I’m partly disillusioned with some things in my life, but mostly I’m just grateful for love, family, faith, friendship, support and, of course, running! This all comes down to my new awareness of time. With March now halfway over and the spring just around the corner, I’m excited about getting to the mountains for some big runs. I'm establishing a good base and am about to complete my fourth consecutive week of 70+ miles, all at MAF. I know I don’t have the time (a theme?) to head to the mountains every weekend to run gobs of miles. So, most of my big mountain runs this summer will take place on days off from work. I’ve saved some vacation days and will use them to get in some really high-quality runs up high. I'm also racing less this summer, which will free up some time and allow me to remain more mentally and physically focused on my A race. For a busy guy, that’s an ambitious summer schedule. We’ll see. "To get ready for 100s, it's all about volume, volume, volume!" I'm about to wrap up my third consecutive week of 70 or more miles. For me, when I start running 70 miles a week, I've flipped an important mental switch. Seventy miles in a single week means I'm starting to get serious about something. 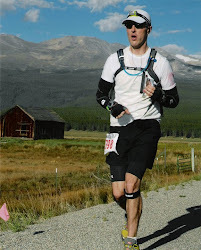 That something is the Leadville 100 on August 17. But this is only the beginning. The mileage is going to get higher--much higher. My MAF training seems to be working beautifully. I've noticed that running at MAF is getting easier. My pace is gradually improving and my body seems to be in good working order. My foot, which has been wracked with metatarsalagia for four months, is slowly improving, thanks to physical therapy, stretching and a night splint. I'm cautiously optimistic about it. In these past few weeks, I feel like I've gotten to know myself as a runner. So often we get into the thick of training and forget to really listen to our body, learn along the way and make the necessary adjustments. I've gone back to the basics, even reevaluating what kind of shoes I should wear. After a lot of research (more than I care to admit), I found that I need shoes with good forefoot cushioning and support since I'm mostly a midfoot and forefoot striker. I don't need tons of heel cushioning, which is to say I need to avoid shoes with a lot of heel-to-toe drop. I don't feel comfortable going with zero-drop shoes but I am comfortable with 7-9 millimeters of drop, versus the 10-12 millimeters of drop you'll find in most shoes these days. Too much drop inflames my metatarsals. So I'm now wearing shoes that give me what I need and where I need it. We'll see in the long-run if it all works for me--shoes can be tricky. In case you're interested, the shoes I've turned to are Saucony Omnis and Saucony Guides. Interestingly, those were my go-to shoes "back in the day." On the trail, I'm wearing New Balance 1210 Leadvilles (new to the market) and Mizuno Wave Ascends. I think for the past few years, specifically since we moved to Colorado in the spring of 2010, I've lacked a solid aerobic base and that's kept me from responding well to intensity. So right now the charge is to keep base-building and keep adding volume because it'll lead to the aerobic base I believe very strongly that I'll need. The fact that MAF training also improves your ability to burn fat on the run is also a big plus. My next race, as of now, is the Cheyenne Mountain 50K in late April. Unlike last year, I'm really not out to make Cheyenne a key event and I don't want to be in super shape going into that race, because that'll mean my fitness is progressing too fast and I risk going stale by August. It's more for practice, a good long run, and fun. Fun...isn't that why we do this crazy sport in the first place? Park Barner is the first Ultra Hall of Fame inductee who could legitimately be called a "legend in his own time." In the late 1970's he was the first American ultrarunner to become broadly known for his ultra exploits outside the ultrarunning community. In today's age of celebrity ultrarunners who make the rounds on national TV talk and entertainment shows, it is worth noting that Barner received an invitation to appear on The Tonight Show, hosted by the late Johnny Carson, 33 years ago (he turned it down because he preferred to save all of his vacation days for traveling to ultras). And this unique stature—remarkable so early in the sport's history—was certainly not achieved by self-promotion. Barner, from a small Central Pennsylvania town, was shy, disarmingly humble, a man of few words. He was not a talented athlete (his fastest mile was 5:19), and he had an unusual, multi-faceted athletic career. He almost never became an ultrarunner because he almost became a professional bowler. To celebrate his 39th birthday he bowled 39 straight games, averaging 199. Much later, in his 60's, after retirement from serious bowling and serious ultrarunning, he became a serious practitioner of the art of pitching horseshoes. At the age of 63 he pitched 1,000 ringers in 8 hours. One might detect in this introverted, obsessive personality the key ingredients of a successful ultrarunner—and one would be right. 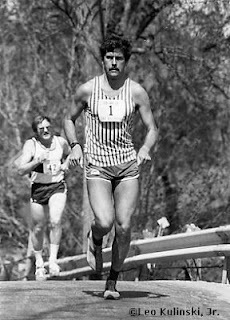 Barner began his ultramarathon career in the early 1970's, when there were barely a dozen ultras in the country (and not a single 100 mile trail race). At 6'2" and 175 pounds, his physique was uncommon among the sport's elite. He ran mostly 50 mile races because that was the longest distance he could find. In 1974 he finished second to Max White in the AAU National 50 Mile Championship. 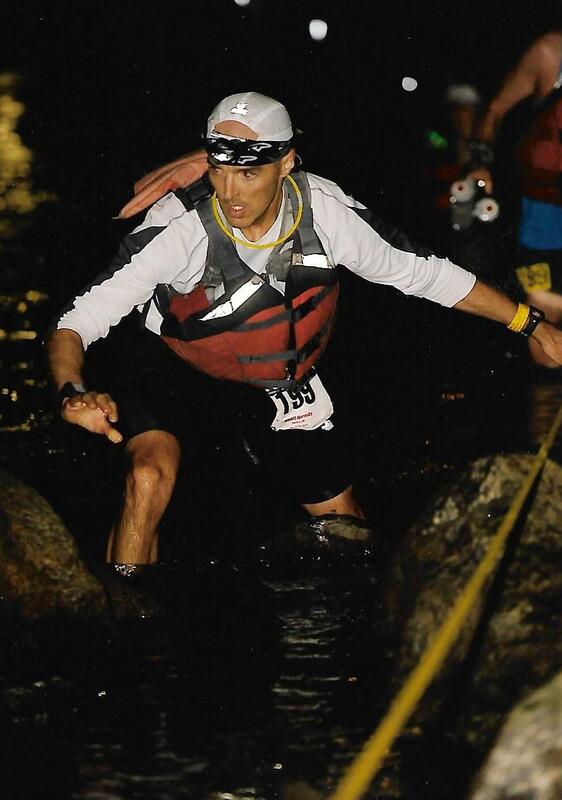 The JFK 50-miler, the oldest ultra in the country, just celebrated its 50th running in 2012. Barner ran the mixed trail/road course when it was only 10 years old and only one man had ever broken 7 hours on it. Barner won it in 6:29 (he would later run 6:23 there). In a span of eight years he broke 6 hours for 50 miles nineteen times, and ran between 6:00 and 6:15 another 12 times. In two of the few 100-mile races known to have been held in the U.S. prior to 1980 (both in New York City), Barner ran 13:41 (#3 on the U.S. all-time list at the time) and 13:57. By the mid-70's the 100km distance had emerged as the universal global benchmark event. The first certified 100km event in the U.S. was held at Lake Waramaug, CT in 1974. Park Barner won it (beating none other than Ted Corbitt) in 7:37:42, and that time became recognized internationally as the "American Record" for the distance. Over the course of the next 3 years Barner kept possession of that record, lowering it in three times until it came to rest at 7:11:44. In October 1978, at Glassboro, NJ he entered one of the first 24-hour races held in the U.S. He ran steadily throughout to win with a total of 152 miles, 1599 yards. It was an astounding, world-class performance, over 18 miles further than what was generally regarded as the "American Record," Ted Corbitt's 6-year old mark of 134 miles, 782 yards. Eight months later he entered an invitational 24-Hour Race in Huntington Beach, CA. He improved by almost 10 miles, covering 162 miles, 537 yards and besting Englishman Ron Bentley's World Record by almost a mile. His metronomic, even pacing was unprecedented for this distance range. No one in history had ever run for 24 hours the way he did it. 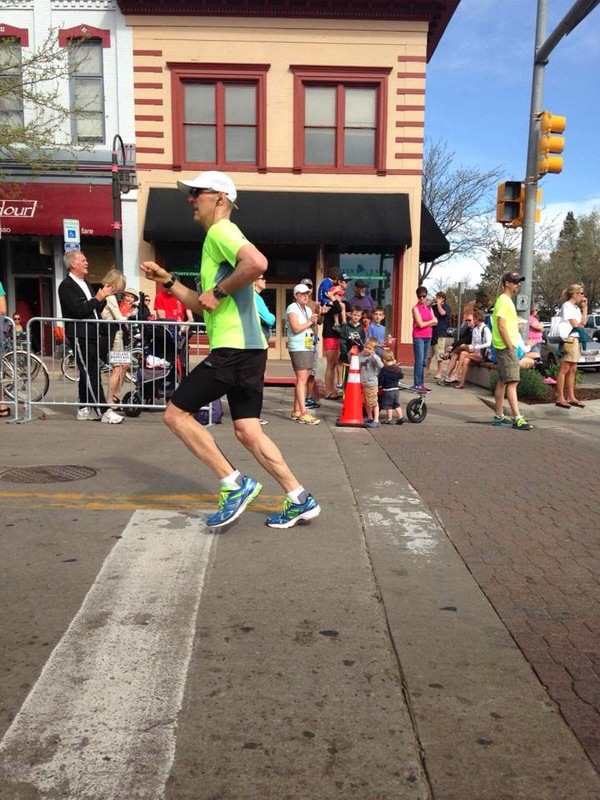 His 50-mile splits were 7:14, 7:15, and 7:21. It took 12 years for an American (Rae Clark, last years' Hall of Fame inductee) to run farther in 24 hours, and still today, 33 years later, Barner's distance has been bettered only by 4 Americans. Park Barner continued to run ultras through the mid-1980's, then abruptly retired from the sport at the age of 40. In extending his racing range in his final racing years, his highlights included winning the Weston 6-Day race twice, with a best of 445 miles in 1982, and then three months later winning a 500 mile race across the state of Michigan (including a mandatory 8-hour curfew each night) in 6 days, 6 hours. But it wasn't just his record-breaking performances that made Barner a "living legend." He had a unique depth of constitutional strength and resiliency. The stories of his "outside the box" exploits are nearly as impressive as those of his greatest races, and have contributed to his almost mythical status in the history of the sport. He was tolerant of all ranges of weather, but thrived in extreme cold. He commuted to and from his job by running along the Susquehanna River, never wearing more than a t-shirt and shorts, even in single-digit temperatures. His final American 100km record was run on a windy, bitterly cold day, with snow blowing sideways across the course and the temperature plummeting through the day. As the race progressed, most of his competitors added extra layers of clothing with each passing lap of the 10km course. But Barner did the opposite. He started with a jacket, hat, and gloves, but by the end of the race he was wearing nothing but racing shorts and a mesh singlet. To prepare for one of his 24-hour races, he did a training run from Harrisburg to Pittsburgh (203 miles), stopping only briefly in a diner for a piece of pie. In amongst his frequent ultra races he ran a marathon personal best of 2:37, then followed it the next day with a 2:39. His landmark 152+ mile 24-hour run in 1978 in New Jersey was a Friday-Saturday event. From there he took a bus to Baltimore and ran 8:16 to take 6th place (out of 13) in a 50-mile race on Sunday of the same weekend. In 1974 there was a 3-day, 300km stage race (100km each day) along the C&O Canal gravel/dirt towpath from Washington, DC to Cumberland, MD. Barner was the only finisher, with daily splits of 7:52, 8:12, and 7:48. Two years later, seeking a greater challenge, he asked the race director to include a straight-thru, continuously timed division. He ran the 300km nonstop (with nighttime temperatures below freezing) in 36:48. For the size of his physical frame, he was remarkably light on his feet, with impeccable form and an enviably graceful, loping stride. He was frequently referred to by his competitors as a "human metronome." We proudly welcome Park Barner into the American Ultra Hall of Fame. Yeah, the guy was a complete badass. You can read an awesome story Sports Illustrated, no less, did about Barner in 1978. Standing 6’2” and 175 pounds, he was big. I’m considered big for an ultrarunner (6’2”, 165 lbs.) and I’m a full 10 pounds lighter than Barner in his prime. He was an endurance junkie. After his days of running long distances, he took to ultra bowling and horse shoes. Endurance obviously is in his blood. His then-record-setting 24-hour performance in 1979, when he covered 162 miles at an event in Huntington Beach, Calif., still seems inhuman when you consider his 50-mile splits: 7:14, 7:15, and 7:21. He was obviously a master of pacing. He retired abruptly at the age of 40. Why? People who say today's ultrarunners are the best ever need to study the history of the sport. Guys like Park Barner, Bruce Fordyce, Bernd Heinrich and others would be just as good, if not better, today. If you read the above-linked SI story, you probably noted that Barner rarely ran faster than 8 minutes per mile, and yet in his prime he clocked a few marathons in the mid-2:30s and claims to have never run a mile faster than 5:19. Again, he seems to have mastered the art of pacing and, I’m guessing, was an aerobic beast, meaning he could run a long way without fatiguing. It's a crying shame road ultras have lost popularity among ultrarunners. I would love to sit down with Park and just have a long conversation over a few beers. The man obviously did a lot of things right back in the day—despite not having fancy technologies like heart rate monitors, Hokas, GPS watches, and Coolmax clothing—and would undoubtedly be just as dominant today.